Scout Shops are an online store - owned by the Scout Association - which sells uniform, gifts, presents and all the equipment needed for camps and activities. With every item you purchase from Scout Shops you are supporting a charity – The Scout Association. Doing any other internet shopping? 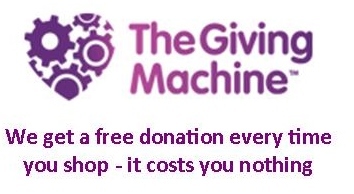 Use The Giving Machine and the retailer will donate to our Scout Group - at no cost to you. Please note Scout Shops are not part of The Giving Machine as they already give all their profits to Scouting.